Earlier this year we shared that we're working on two big enhancements to the LibAnswers platform - screensharing/webinars module and backup staff coverage module. We're pleased to report significant progress with both! When we talk about our screensharing solution, what we have in mind is way more than just basic librarian-to-patron sharing of screens. Like, way, way more. The screensharing & webinars module will have its initial release in late December, followed by a wider functionality release a month or so after. 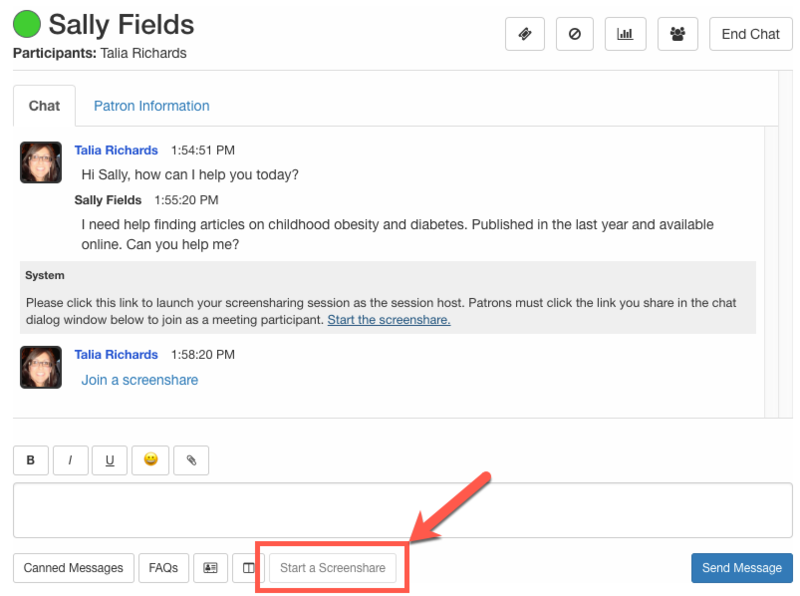 Our aim is to bring screensharing and webinars to the regular daily workflow for any and all libraries and librarians. Our other big announcement has to do with backup staffing. We can't reveal much about it yet, for a couple of reasons, but what we have coming your way in the next few months will be flexible and affordable - the two tenets of Springshare's mission for libraries. Decide Your Own Coverage Levels - You're in the driver seat with what hours you need covered and at which levels. Participate in Cooperative or Not - Choose whether you wish to participate in the coop or just get backup coverage instead. More than just Chat Backup - We've all been there and have needed an extra pair of hands during busy times. Our backup will provide more than just chat services, if you need it. Look for the official announcement early next year. In the meantime, if you have any questions or suggestions, please let us know. We're all ears.